Abby Kohut, who is known on the web as Absolutely Abby, is the President of Staffing Symphony, LLC. 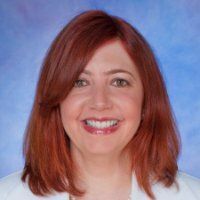 In the past 16 years, Abby held positions such as Senior Director of Recruiting for Kaplan, Interim Director of Recruiting for Continuum Health Partners, and Manager of Global Recruiting for Alpharma. Her website AbsolutelyAbby.com and her book Absolutely Abby’s 101 Job Search Secrets teaches candidates secrets about the job search process that other recruiters won’t tell you. Abby has provided job search tips on Fox 5 Business News, LinkedIn, Forbes, USA Today, ABC’s Good Morning Connecticut, and the Joe Franklin show on Bloomberg Radio. Abby was selected as one of “The Monster 11 for 2011: Career Experts Who Can Help Your Job Search” and is one of the “Top 100 Influential People Online” according to Fast Company Magazine. Since 2010, Abby has been on a mission to help one million job seekers and since 2012 has been driving around the USA on a nationwide tour to accomplish that goal which you can learn more about at www.AbbyAcrossAmerica.com.